Story by Paris Dozier. Photos courtesy of CNN.com. JAN. 30, 2019: Remember H&M’s “Coolest Monkey in the Jungle” hoodie everyone thought was offensive because the company put a dark skinned boy in a hoodie that called him a monkey? Now what is even more offensive is that the luxury, high-end designer company Prada had the audacity to release a keychain that sort of looks like a monkey. Why Prada did something like this? Everyone is asking that same question. This is a multi-million dollar company that makes everything from shoes, sunglasses, clothes, purses, and perfume. I tell you Prada is really, really, really expensive. Now, the company has been accused of putting huge red lips, beads for eyes, and long arms on their handbags. It’s not like they thought it would go unnoticed because of its location on top of the purse attached to the zipper. Prada made this blackface as a keychain for everyone to see. 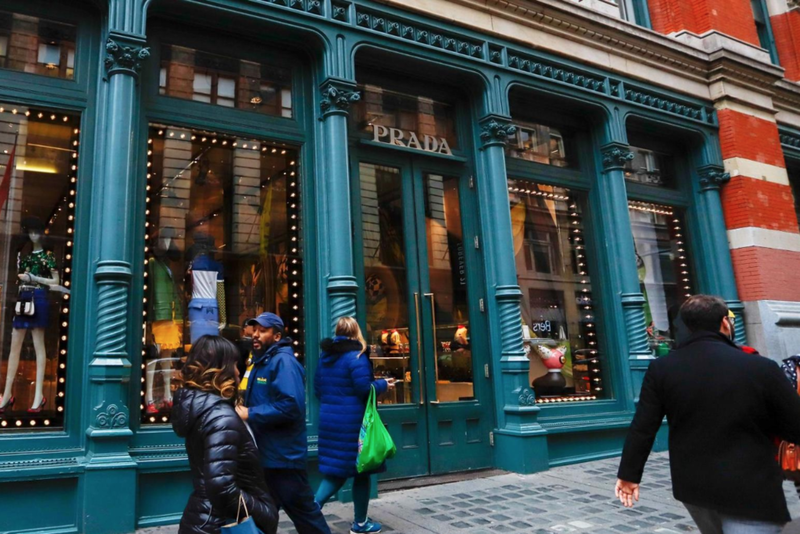 What is crazy is that things at Prada can range from $700 to $1,000 and even beyond which means that it has a lot of shoppers. Also, 12.3% of the U.S. population is some shade of melanin. That means that some of that 12.3% could have seen that keychain and been really offended. I really think that it is sad that they thought it was okay to put a keychain on their products. For many this has gone too far. The public is outraged and feels that this is kind of racist. So what do you think? Would you even consider buying keychain that makes fun of African Americans facial features? Paris Dozier is a 4th Grade Scholar at Friendship Woodridge International School.